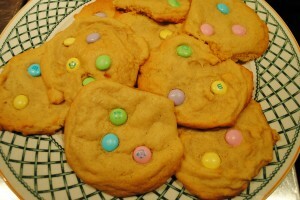 Easter is coming up, so, no surprise, I decided to make some colorful Easter cookies! 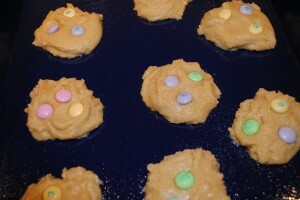 I thought, “why not stick to a classic and simple dessert that everyone will love?” In a slight DEVIATION from typical M & M cookies, I used M & M’s bunny mix Easter candy. 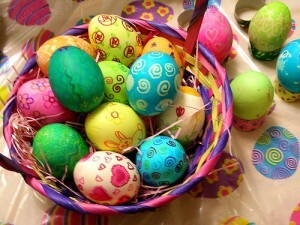 Two pluses are that these cookies can be made with surprising CELERITY, and are also so beautiful. After making these treats, some might even think you have the eye of an AESTHETE! Enjoy! 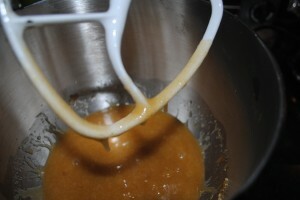 In the bowl of an electric stand mixer, cream together the vegetable oil, white sugar, and brown sugar. 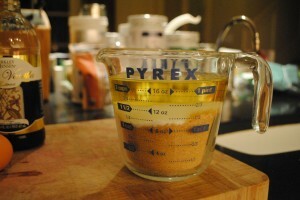 Add the eggs, one at a time, cream slowly, then add the rest of the dry ingredients and mix on low speed until combined. You may need to add an extra 1/4 cup of flour if the mixture looks too wet. Place the cookies on a greased, nonstick pan. Place about 1-2 tbsp of the mixture per cookie on the sheet and press down slightly. Separate each cookie by about 1" on all sides. 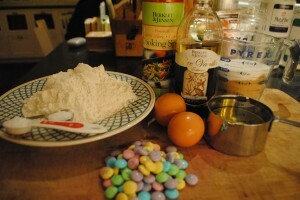 Arrange as many or as few M&Ms on the cookies as you like..
Bake the cookies at 350ºF for 9-11 minutes and serve!